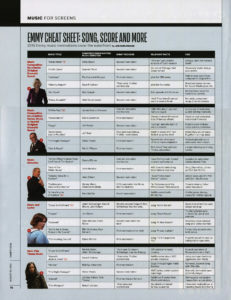 One of my most enjoyable tasks is the preparation of Variety‘s annual chart looking at all of the nominees in Emmy’s five music categories: original music for series; original music for movies, miniseries or specials; main title themes; music direction (usually for one-shot specials); and original songs for TV. Because it’s a chart, it rarely makes the transition from print to web, so we’ve scanned it and made it available here. The challenge is usually twofold: checking each nominee’s Emmy record (not easy because the Television Academy’s own database is incomplete and sometimes inaccurate) and condensing its musical essence down to a few words. 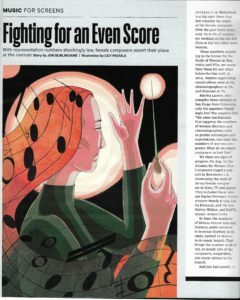 This entry was posted in Composers, Television Music and tagged 2016 Emmys, Emmy Awards, Emmy Awards for music, Emmy cheat sheet, Emmy music, Variety on August 27, 2016 by Jon Burlingame. 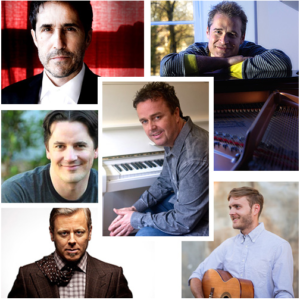 Every year it’s my privilege to interview many of the composers nominated for Emmys in the key music categories. 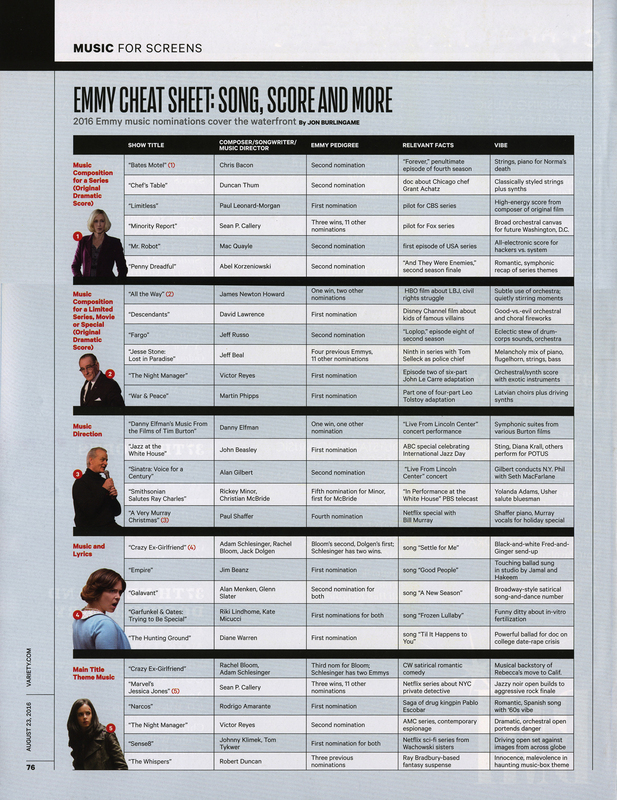 The occasion is usually the creation of Variety‘s full-page chart devoted to brief descriptions of the music in all five categories. But this year I’m doing more, beginning with a story utilizing what I heard from all six nominees in the category of Music Composition for a Series (Original Dramatic Score) — music from Bates Motel, Chef’s Table, Limitless, Minority Report, Mr. Robot and Penny Dreadful. It’s always fun to hear what these hugely talented composers have to say about their diverse assignments. This entry was posted in Composers, Interviews, Television Music and tagged Abel Korzeniowski, Bates Motel, Chef's Table, Chris Bacon, Duncan Thum, Emmy music, Film Music Society, Limitless, Mac Quayle, Minority Report, Mr. Robot, Paul Leonard-Morgan, Penny Dreadful, Sean Callery on August 15, 2016 by Jon Burlingame. I was lucky enough to attend composer John Williams’ 1992 re-recordings of his Olympics music, including his classic 1984 “Olympic Fanfare and Theme,” which prompted me to write this July 1992 piece for TV Update. (At the time, I was writing a nationally syndicated column about television.) I happened to stumble across the original piece this morning and thought you might like to see it. It predates, of course, his third and fourth Olympic themes (“Summon the Heroes” and “Call of the Champions”), which I’ve written about elsewhere. But it’s nice to be reminded of the composer’s original thoughts about creating these pieces, which are now an indelible part of the Olympics experience. This entry was posted in Composers, Film Music, Interviews, Television Music and tagged John Williams, NBC Olympics, Olympic Fanfare and Theme, Olympics music, TV Update on August 14, 2016 by Jon Burlingame. “Game of Thrones” in concert! The obsession that some Game of Thrones fans have with Ramin Djawadi’s music took even the composer by surprise. (The numbers associated with the various YouTube versions of the theme — from serious ones on violin or cello to wacky ones for cat, floppy disc, wine glasses and more — are simply astounding.) Now, however, fans of the HBO series who must wait another year for new episodes can get their fix with a live concert version that will tour North America in early 2017. I attended the press conference at which Live Nation announced the plans, and composer Djawadi talked about the phenomenon. This entry was posted in Composers, Interviews, Television Music and tagged film music concert, Film Music Society, Game of Thrones, Game of Thrones live, HBO, Live Nation, Ramin Djawadi on August 10, 2016 by Jon Burlingame.